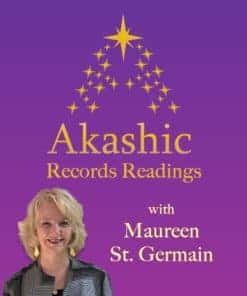 Maureen St. Germain is a natural intuitive and has been working with the Akashic Records for a long time. Originally certified by Akashic Records Consultants International (ARCI), to open and reveal another’s records when requested, she is now affiliated with Akashic Records International (ARI). In 2009 she founded Akashic Records Guides. Maureen can assist you to access the wisdom of your own Record Keepers who can guide you and provide you with insights, direction and more. A reading from Maureen will be powerful, enlightening, cleansing and inspiring. Maureen will reserve appointments during workshop dates for the workshop participants or individuals in that city. You may also check our schedule for any other dates and times that Maureen may be available for readings: Calendar of Events. For more details or questions, please contact us. Thank you so much for this wonderful work. The session has been illuminating in every sense of the word. My Akashic readings with Maureen always leaves me with clarity and renewed energy to continue on my path. I am truly grateful for the guidance and would recommend this service to anyone in doubt, whether it concerns your life purpose, work, relationship or any other personal matter. I never make an important decision without asking the record keepers first. This gives me certainty that I am in constant flow and I feel ready for what is coming instead of having to fight it. As a doctor it is very important for me to feel balanced myself, in order to provide the best service to my patients. Having regular Akashic readings will do just that! We are now able to access knowledge from our Guides and the Akashic Records to align the energy of our space and belongings, with our purpose and personal signature of our intentions. 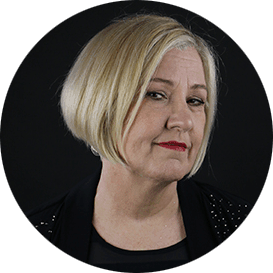 Allow Michelle to accompany you to connect with your Guides, read your space and discover what will invite your spaces’ energy to optimally support you on your life’s journey. When the energy of our space is aligned with our own highest intentions, everything flows more easily– information from the Akashi, abundance, expression of our purpose, health, and satisfying relationships – everything imaginable. Do the items you place around you balance and harmonize with nature’s energies to align in patterns such as those found in a crystal, or is the energy incidental and coarse? How do our own thoughts and feelings engage in these natural forces? You might recognize the energy as a feeling of well-being, or perhaps a feeling that something is not right. Solutions may include simply acknowledging the energy and discovering energy ‘weather patterns’ around you. Michelle works with your Guides to inspire the release of incongruous energy in or around your space by suggesting enhancements to your home or office, or a new arrangement of your furnishings or belongings. Often, the movement of this energy is felt by the one whose records are open, bringing a sense of relief or a shift in one’s perspective. Michelle has studied extensively with Maureen St. Germain, since 2011, as well as with numerous other teachers throughout her life. During one of her early readings with Maureen, Michelle was named one of the Oracles, in a lifetime in ancient Greece. She became an ARI Certified Guide in December 2013. Michelle Molloy is the founder of Penates Way LLC, and has been a designer of a variety of residential award-winning projects for 19 years. Michelle lives in Seattle and is available for personal readings via Skype or on the phone. Thank you so much for yesterday’s reading. It was reassuring and gave me much to think about. You have a beautiful gift. I have to tell you how excited I am. Since the reading you did so many extraordinary things have happened. When you explained about the way I receive messages I have been getting so many more. or maybe they were always there and I just wasn’t getting it. For so long I have not been able to sleep. I wake up at 1 and can’t go back to sleep until after 4am. You said that was the best time to communicate with the elementals. I asked them to come to me during dream time. What dreams I am having. Now I am only awake for about a half hour, just long enough to make a couple notes. You helped me so much more than you can imagine! I can’t thank you enough. 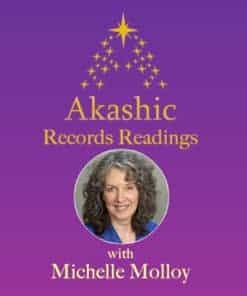 Thank you Michelle, I was truly impressed with your reading yesterday and you opened up my eyes/mind/heart to the Records – an understanding I didn’t have before. I accessed the Akasha myself way back in early 2014 but was not able to get to the point of asking questions and getting answers. There are no coincidences of course. The links you sent me……I have a home near the Slovenian border and there is a connection with Mark’s work. And last Sunday – World Hypnotists Day – I had my first Body Code experience – a 15 minute session which was most effective. I look forward to scheduling another session with you in the next few weeks and I would like to thank you for sending the links and for doing, for me, a most interesting reading. Thank you – it was amazing! You have a wonderful gift. I called to tell you that you were right on point. (The Reading) helped me make life changes. You have a beautiful connection. I have had Akashic Readings by others (other organizations) and you have more integrity than most. Thank you so much. That was an hour well spent! (My Reading) expanded my knowledge in certain areas that I had been unclear about proceeding in. (The benefit was) confirmation that I am receiving information from spirit. It gave me some direction to move towards what I had been conflicted with prior to the reading. The reading was spot on about business. I am thinking of getting another reading. This (Reading) was very helpful and I think you did an excellent job! Terri Young has been a lifelong seeker. Never satisfied to be “like” everyone else, there were always more books to read and more to learn. In the early eighties, Terri and a business partner opened an Angel Figurine store in a tiny village and called it “On the Wings of Angels”. Even though they were miles from anywhere, they were successful. The Angels have guided her to see “Angel Auras” around people. Would you like to know what your Angel-Wings look like? Terri’s life has been an interesting journey. 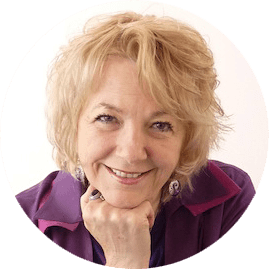 In 2011, she re-connected with Maureen St. Germain and that meeting catapulted her into the Akashic Records Reading classes. She is excited about how awesome it feels to capstone a life-long journey with this excellent experience. Terri has now found a spaciousness and peacefulness in the Records that she has never found before. She would be pleased to help you find your own loving guidance from the Record Keepers. Terri became a ARI Certified Guide in 2012 and will give readings by Skype or phone. She provides readings from the Milwaukee/Madison, WI area. Terri is certified to teach all to open their own Akashic records. Recently, at a crossroads about a physically debilitating situation where I could “see” an energetic sword entering me, Terri (through the Record Keepers) told us (to pretend) to “pull the sword out!” The next time I was in pain, we did exactly that and the pain instantly stopped! This work in the Akashic Records is amazing. 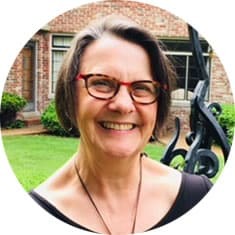 Elizabeth began studying the practices, meditations, and writings of Maureen St. Germain in 2015, when she began serving with Maureen on the Board of Trustees at Edgar Cayce NY Center. 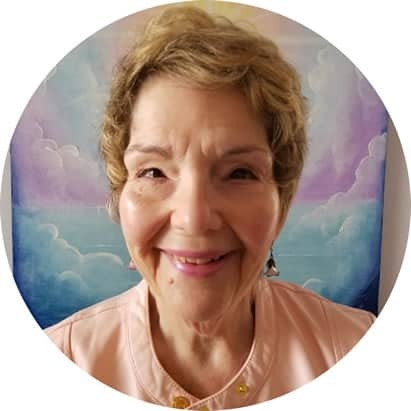 The “MerKaBa Meditation” DVD, Maureen’s “Be a Genie,” “Reweaving the Fabric of Your Reality,” “Beyond the Flower of Life,” and Elizabeth’s Favorite Book of 2018, “Waking Up in 5D” have all nurtured her transformational journey through the years. She began classes with Maureen in 2016 with Akashic Records Level I, opening her own Akashic Records since then. In the Summer of 2018, she continued her studies with Akashic Records Level II, learning to open the records of others. 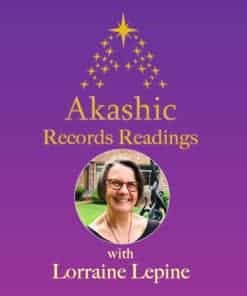 Since then, she has gained experience opening the records for colleagues in order to develop and fine-tune her practice as an Akashic Records Guide. See testimonies below. While attending a musical event at the Omega Institute in 2005, she heard from a seer that she is a “Messenger of the Divine” and a healer—that she has energy that when people come into it, they may be healed. This rang true, and catalyzed her resignation from her university publishing job and shifting to consciously seeking to know her divine purposeful path. Studies in Quantum Touch, Healing Touch, CranioSacral Therapy, and Reiki, and Sound Energy Healing preceeded her discovery of Quantum Energetics Structured Therapy (QEST) on Hawaii in 2006. On the way, in-flight at 37,000 feet, she was daydreaming of finding an energy healing practice that was pertinent and relative to the physical body, and she found QEST within 48 hours. It so happened that one of the founders of QEST had moved to Wisconsin, where she had moved after quitting her job. The day after her flight home from Kona to Milwaukee, a man she was meeting for the first time extended his hand and said (all in one breath), “Hi, I’m Andy and I’m playing bass tonight and I’m enrolled in a Quantum Energetics Class next Fall in Green Bay and we need another person for the class to make.” If there was any doubt about Elizabeth’s next course, that removed it. She graduated the 2-year track in the Spring of 2008 and has been quite active ever since. QEST uses muscle testing to locate disruptions in the etheric blueprint relative to bones, muscles, ligaments, nerves, organs, etc. for specific conditions such as swellings, fracture, dislocations, thrombosis, etc., which may or may not be present in the physical . Direction of energy clears the coded disruptions, catalyzing the client to pattern in wellness. If you ever saw a blueprint for a house, it is not the house, but it informs the building of the house. Hence clearing the blueprint, etheric body, informs the building of the physical body free of disruptions. She uses her voice and overtones to integrate QEST with Quantum Sound across a broad range of frequencies from ultra-low to super-sonic, adding an element of vibrational entrainment to her healing work. This toning is sometimes appropriate to use in service as an Akashic Records Guide. Amazing how you can feel such deep things and yet be happy. That was my message from my [Akashic Records Reading] session with Elizabeth Tomboulian ..Joy is the Path …yes it is. The reading with Elizabeth Tomboulian was fantastic. If you haven’t done one yet or made an appointment with her to do so, you’ll love it. It will expand you immensely. I cannot recommend it highly enough. Thank you so much Elizabeth, I am very grateful that you offered this to all of us. Just wanted to share that I just had a session with the gifted Elizabeth Tomboulian. We generated so much energy that we had to be adaptive in order to keep from shorting out all our devices! Elizabeth is a wonderful healer and reader. She insightfully and adeptly tapped into my Akashic Records, helping me to realize lingering sadness from a past life trauma. She brought through a sound healing/alignment that was truly out of this world! Thank you so much, Elizabeth! 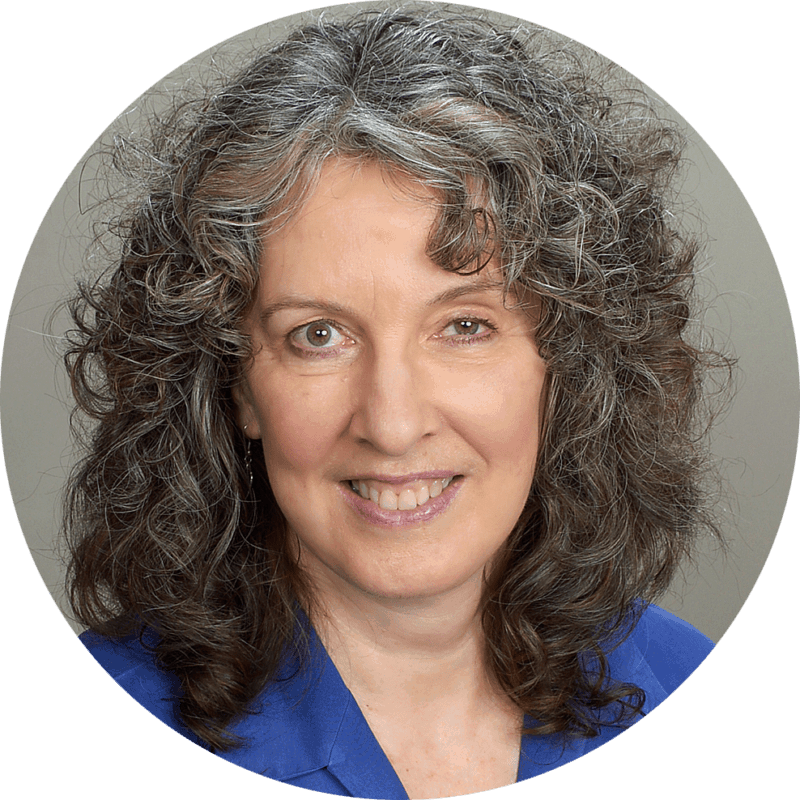 I recently was privileged to work with Elizabeth Tomboulian and her gift of connecting with the Akashic Record Guides. Her channeling came through incredibly strong, solid and clear and it was a wonderful experience for both of us! I felt all of her heart and soul in her mission to help others. There was a lot of information and I was able to receive detailed answers from specific questions that I had asked. I would highly recommend Elizabeth Tomboulian because you will be blessed and more informed about your life. My Akashic Record session with Elizabeth was insightful and filled with messages for my soul’s growth. I received some practical information around life themes and how to move beyond these with complete trust and total joy. I found Elizabeth to be a gracious person and easy to speak with. I would recommend her to anyone who is searching for answers that their soul has been seeking. 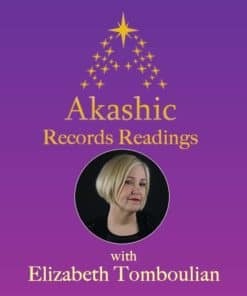 Seven weeks have passed since Ms. Elizabeth Tomboulian did an Akashic Record reading reading for me. I received enough material to implement into my life for months, maybe years to come. I was encouraged in what I am doing right and in attitudes I would benefit from tweaking. Suggestions were made for manifesting my dreams and completing projects I am currently engaged in. I had prepared questions in advance. All of these were addressed very satisfactorily. Most of my questions concerned my present life circumstances and foreseeable upcoming changes. A helpful metaphor that was given to me is ‘Relationships are like roses, having blossoms among thorns. Which ever is focused on, blossoms or thorns, grows. I am an intuitive as well, and rely mostly on myself for wisdom communication from the nonphysical helpers. Elizabeth’s reading gave me information I did not know to ask for. It really gave me a boost in my intentional development and how to direct my energy more cleanly (clarity). 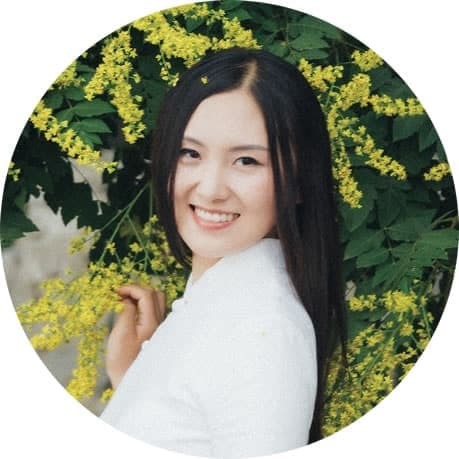 Queena (Huang Qi) is an Akashic Records Reader and psychic with a psychology background from Southwest University and Hong Kong University of Education. She started her therapy practice in 2008, and has over 5,000 hours of session experience. Queena became a psychology instructor in a top university in Beijing at an early age. She decided to leave the university job and travel around the world. It was then she chose to devote herself completely to healing work and spirituality, all the while giving sessions and workshops no matter where she happened to be. Also, for almost a decade, she was an interpreter for many world famous spiritual and psychology teachers. As Queena was looking to expand her skill and knowledge growth, she found Maureen and decided to learn from her. The Akashic Records – the book of life – broadened her life tremendously. She now wants to share this peace, light, clarity and wisdom with all of you. 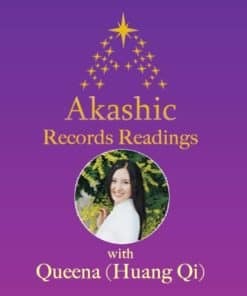 Besides being a Certified Akashic Records Guide, Queena is trained in: Past-life Regression Therapy, Spiritual Response Therapy (for energy clearing), Family Constellation, Cosmic Power®, Usui Reiki, Dance Therapy, Somatic Therapy, Family Therapy, Gestalt Therapy, Dream Work and OSHO Meditation. The profound training and experience in these fields gave her an expanded awareness about love and life, and deepened her knowledge of human development and our soul journey. The reading with Huang Qi brought me answers and insights that resonated with a sense of truth beyond any I have received from other practitioners. We covered topics ranging from health issues to success in my business venture that were extremely helpful. I now have a fresh, empowered perspective and specific affirmations that will undoubtedly accelerate the achievement of my goals in these areas. I greatly appreciate and value her skill in providing a powerful and helpful reading. Qi’s session opened me up to a more expansive and loving view of my relationships, my life and my work. I’ve never felt so much love and gratitude in my life before, especially towards my husband. I’ve changed so much after doing sessions with Qi, that my husband even encouraged me to see her and pays for me. I feel more loved and full of light after my sessions with Qi. I have had several readings with Huang Qi. They have been very empowering to me. The readings validated my own knowing about myself and took it to deeper levels. Each reading was more profound than the one before and led me to a more expansive view of my achievements and my vision; as well as suggestions for enhancing the success and magic already unfolding in my life. Huang Qi helped me solve a problem that has bothered me for 44 years. I felt so uplifted and positive after the Akashic reading with her. My work, my relationships and my future path became so clear and bright! I’ve received many types of healing sessions from many people, but this I have to say is the most helpful one in my life. I feel deep gratitude, towards Qi, the record keepers and my guides. I started doing sessions with Huang Qi in 2009. I have become a counselor and healer myself, but I still participate in all her workshops and receive sessions from her once a month, even if I do not have any particular issue to solve. I feel every time after talking to her, I have more love in my heart.